Show your appreciation to our wonderful teachers with a Being a Teacher...It's an Adventure! t-shirt or sweatshirt. We have great colors to choose from! Add a Being a Teacher...It's an Adventure! coffee mug for a thoughtful gift. 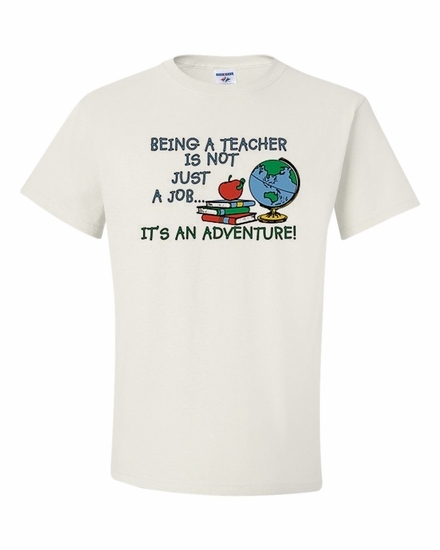 Remember� you found the Being a Teacher...It's an Adventure! Shirts at TShirtHub.com, where high quality came at a low price.